Leading West Midlands law firm mfg is now a gold member of the Charitable Trust’s Corporate Partnership Club. The club was set up to encourage businesses to engage with the Railway and brings in substantial income to fund restoration projects. The Charitable Trust’s Development Board chairman John Leftwich said, “It’s a pleasure and an honour to have the support of such a prominent firm as mfg. They’re going to become regular visitors, taking advantage of their own chartered train with the use of a luxury heritage saloon carriage, and they’ll get to experience the thrill of riding on the footplate beside the crew firing the engine. 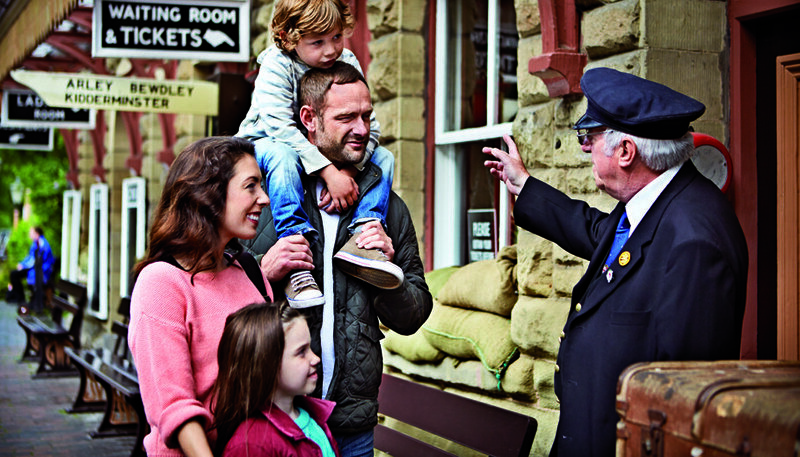 They’ll also enjoy behind-the-scenes tours to see the Railway’s restoration experts at work, and complimentary travel and dining tickets as staff incentives. 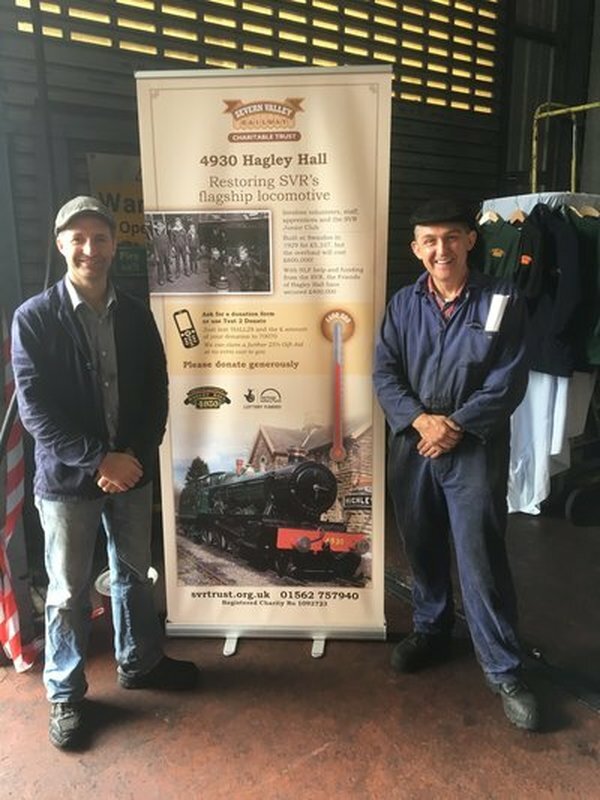 The SVR Charitable Trust has 30 companies in its Corporate Partnership Club, who benefit from a range of experiences and opportunities at the Railway, depending on their membership level. We’re looking to expand the membership, in a bid to secure further funding for restoration projects at the SVR, so if you know a company that could be interested, please let us know! Phone Coralie Hudson on 01562 757919 or visit our Corporate Partnership page. 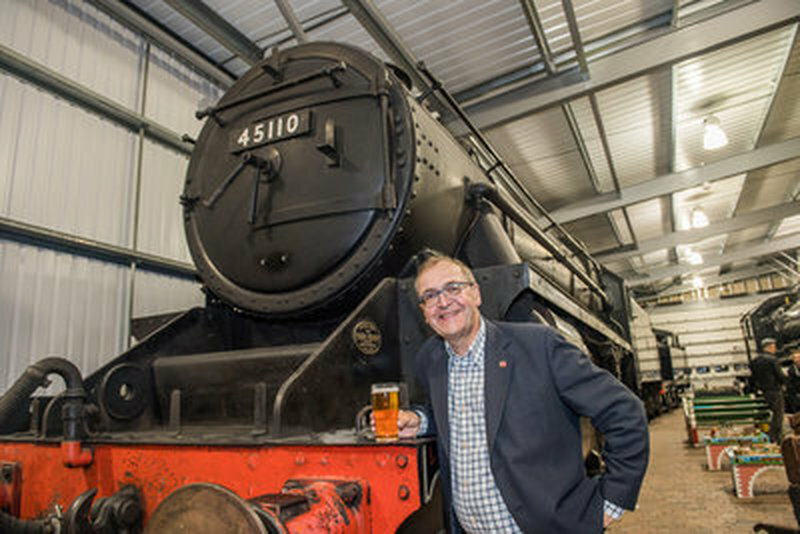 Long-standing member Phil Swallow wanted just one thing for his 60th birthday – to raise money for the future of the Railway he loves so much. He asked friends and family not to buy him birthday presents, but instead to donate to the SVR Charitable Trust’s endowment Future Fund. The response has been impressive, raising a substantial amount for the endowment. Phil believes he has a good insight into what prompted his friends’ willingness to give so readily: “I think what really appealed to people was the chance to donate to an endowment fund; this really is the gift that keeps on giving. The fact that the Charitable Trust is building up this long-term investment fund is what differentiates the SVR from most other heritage railways. It’s a game changer and a genuine investment in the future. It was also very easy to organise. It took five minutes to set up a JustGiving page and all I had to do was send a link to my friends, who very kindly did the rest." The Charitable Trust was able to claim an extra 25% Gift Aid on most of the donations, and this helped boost the total amount. Trust Director Shelagh Paterson said: "We’re delighted at the way in which Phil has galvanised support from his friends and family to boost our endowment fund. The fund balance is now nearly £1.2 million, and it is professionally invested to generate further income. Our aim, over time, is to build up the fund to £10 million. This will generate enough income, year on year, to make a significant impact on the SVR’s future sustainability. It will help preserve locomotives, carriages, wagons and infrastructure such as bridges, viaducts and station buildings, and it will help fund the training of apprentice heritage engineers. We are very grateful to everyone who has contributed, and to Phil for this wonderful idea of ‘alternative birthday presents’!" Apprentice Emma Harrison hand-painted the signs in the Carriage & Wagon paint shop in Kidderminster. The brackets were originally intended to hold a sign with the carriage number painted on it. Owned by the SVR Charitable Trust, 24105 is one of the Railway's teak set, and was designed by Sir Nigel Gresley. It's receiving the finishing touches to its overhaul and should be back in traffic by the end of October. We think it's looking magnificent! Old money, new money? It all helps the Railway's Bridgnorth Project! As the 2016 Bridgnorth Share Offer approaches its deadline of 31st October, the Charitable Trust is also working hard to raise funds for the Bridgnorth Project. We’re asking people to donate their old £1 coins to Bridgnorth, or if they’re feeling generous the first new polymer £10 note that comes into their hands. The old money and the new will all add up to help the SVR achieve its ambition of transforming visitor facilities at Bridgnorth station. The old, round £1 coins cease to be legal tender on 15th October, and the new £10 notes have recently started appearing in purses and wallets across the country. Make your donation by using one of our collection pots in SVR pubs, cafes and shops, ask for a donation envelope at any SVR station, or send it in the post to the SVR Charitable Trust, One Comberton Place, Kidderminster, DY10 3JW. Thank you! Did you manage to visit the Railway during September’s Autumn Gala? If so, you might have come across the Toad van restoration project, that the LNER Coach Group’s dedicated volunteers are undertaking at Bewdley. 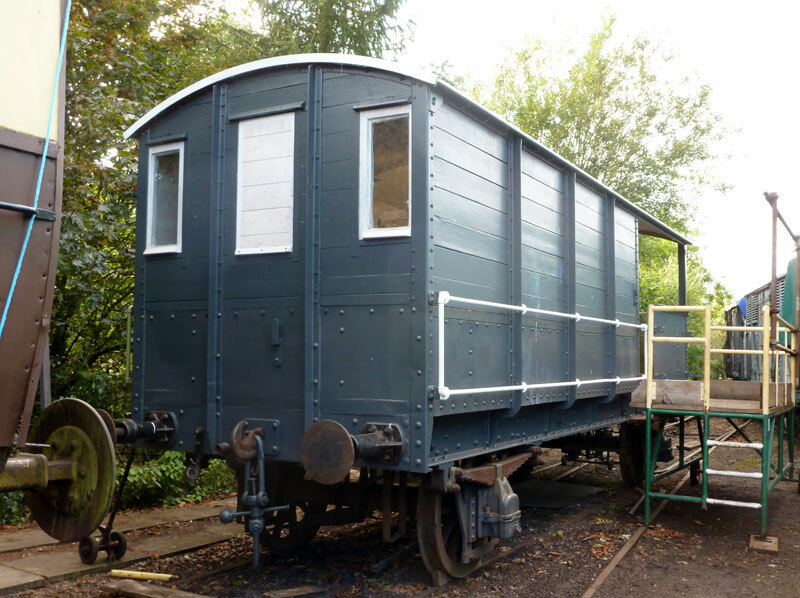 They’ve made excellent progress on bringing this Charitable Trust-owned brake van back to life. With the three coats of paint they have recently applied, the van has now emerged from canvas and is looking rather splendid, as you can see in our photo. However, the volunteers are still looking for sponsorship for some of the items. They have a ‘shopping list’ to suit all wallets, ranging from individual floorboards at just £15, to the guard’s seat at £200, and guard’s writing desk at £50. For a full list, and details of how you can make a donation please visit our Toad webpage. More proof that the SVR is doing all the right things came recently with the announcement that the Railway has won the title of ‘Best Visitor Attraction’ in the Visit Worcestershire Awards for Excellence 2017. It’s a fantastic accolade for everyone at the Railway and very well deserved. 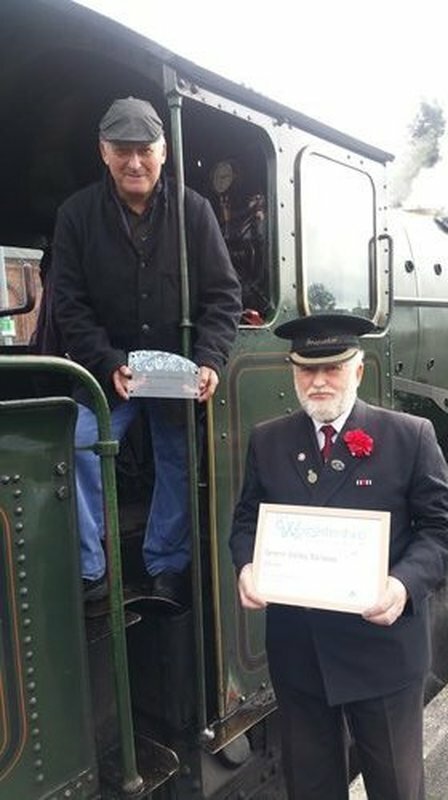 Awards like this help raise the SVR’s profile to a wider audience, and hopefully to attract even more visitors in the future. What’s more, it means that, as a regional winner, the Railway is eligible to enter the Visit England Awards that will take place in London next spring. Fingers crossed! Nearly 50 Charitable Trust Patrons recently attended a thank you event at Kidderminster station, to celebrate our success in raising £1 million for the endowment Future Fund. You may remember that this appeal benefitted from a generous offer by the Heritage Lottery Fund to match, pound-for-pound, all donations up to a maximum of £500,000. 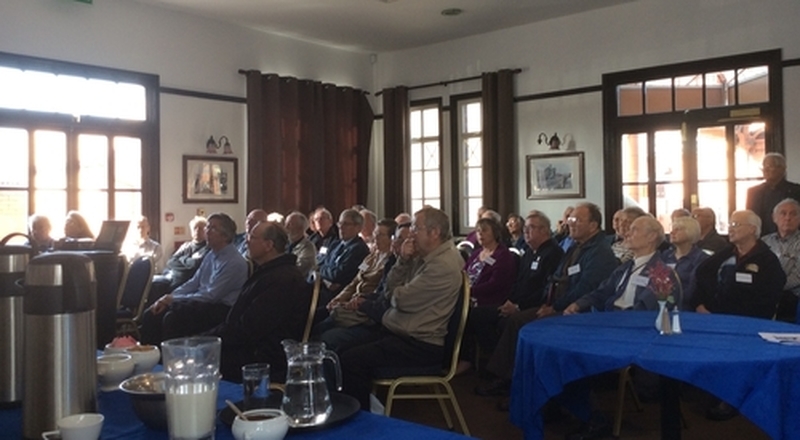 Patrons heard how their donations are playing an important part in future-proofing the SVR. The endowment Future Fund is a professionally-managed investment, which has already grown substantially in size, thanks to the income it earns in interest. In the years to come, this will help fund restoration projects at the Railway, for both rolling stock and infrastructure. "We've been humbled by the generosity of supporters to our endowment appeal. Such was the response, that we hit the target HLF had set us, more than a month ahead of the June deadline, earlier this year. Thank you so much to all those who donated to this appeal." Although the HLF match-funding offer has now ended, you can still donate online to our endowment Future Fund or email fundraising@svrtrust.org.uk to ask for a donation form. If you're a taxpayer we can claim a further 25% on your donations, at no extra cost to you. Coming soon, to a screen near you! 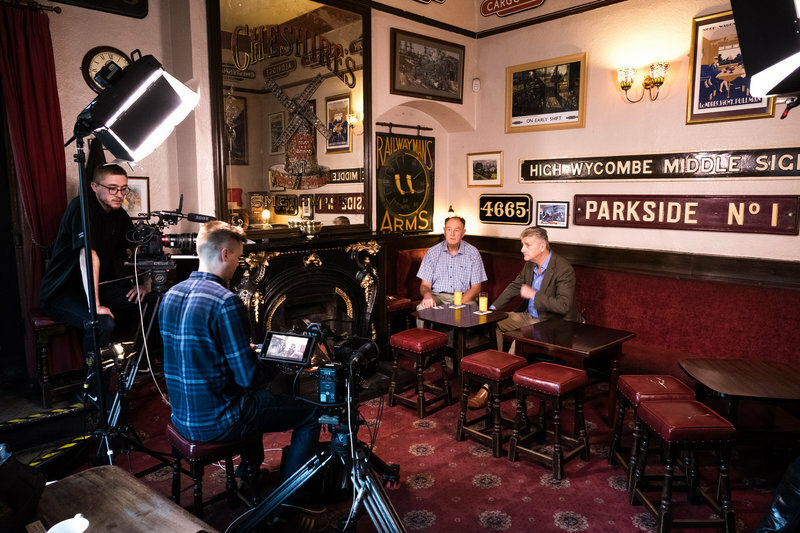 We had the pleasure of hosting a camera crew last month, as they shot footage at the Railway for a series of three short promotional films. Worcestershire-based DRP Productions are kindly producing the films for us, at no cost. We will let you know when and how you’ll be able to see our new films. Keep watching this space! ﻿Fantastic news just in for the Heritage Skills Training Academy, with the announcement that the Hendy and Pendle Charitable Trust has agreed to our request for a contribution of £9,500 towards training 19-year-old George Brogan. Our photograph shows George, who recently began his latest placement in Carriage & Wagon Mechanical in Kidderminster, with one of the Trust’s founders, Sir Peter Hendy CBE. Sir Peter is the Chairman of Network Rail and the former Commissioner of Transport for London. Funding the Academy is a key project for the SVR Charitable Trust, and we currently provide 96% of its costs. Charitable Trust-owned coach 24105 has just received a brand new roof, courtesy of volunteers and staff at Kidderminster Carriage & Wagon. The team applied the last of four coats of paint on Monday, after re-canvassing the roof. Whilst the roof canvas itself should last for up to 40 years, C&W will apply a fresh coat of white paint to each of the Gresley carriage roofs once every five years. Our photograph shows apprentice Emma Harrison finishing off the final coat on 24105 with Paul Brunet, who is over from his engineering firm in France on work experience. 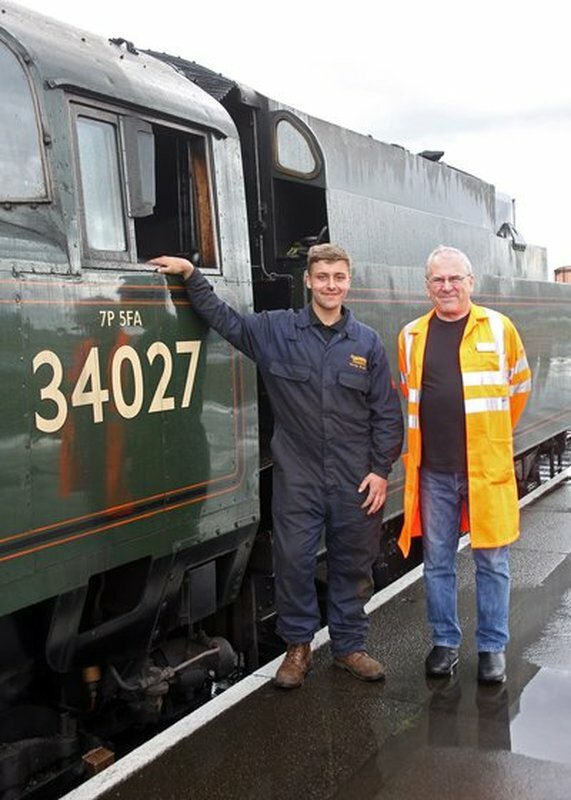 July’s ‘Peep Behind the Scenes’ event was a great opportunity for visitors to discover the dedication and hard work that goes into keeping the SVR running. It was also an effective fundraiser; for the first time, proceeds from the sale of event wristbands came to the Charitable Trust and we raised more than £2,500. There were also direct donations made to individual restoration projects by visitors. Attractions included Kidderminster Carriage Works, the Diesel Depot, Wickham Trolley rides, Bridgnorth Motive Power Depot, a demonstration goods train and various signal boxes, as well as restoration projects including various carriages, the Toad brake van, and locomotive Hagley Hall. The Railway is now asking people who make an online transaction, such as booking tickets or renewing Membership, whether they would like to donate to the Charitable Trust at the same time, and many choose to do so. Not only does this bring in more than £400 each month for the Trust, but it also gives us the chance to engage with a new group of people and tell them about the importance of funding the SVR’s long-term future. Together with the donation envelopes that TTIs (travelling ticket inspectors) distribute on the trains, and the collection pots we’ve placed around the Railway, we’re getting out the message that the SVR needs financial support above and beyond the price of travel tickets, to guarantee its long-term survival. We did it! With your support, we've hit the £1 million jackpot! 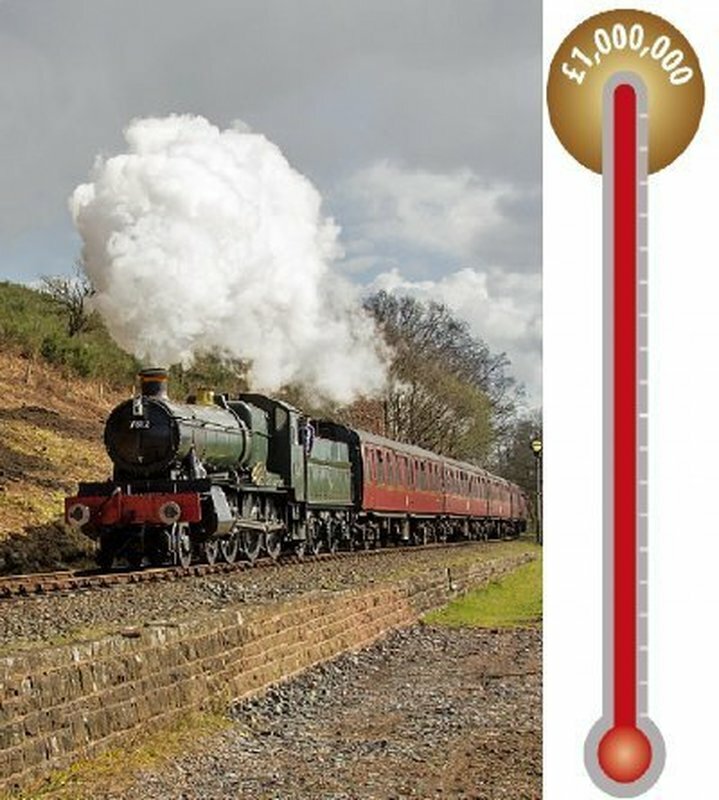 The Severn Valley Railway Charitable Trust has met the £1 million fundraising challenge set by the Heritage Lottery Fund. 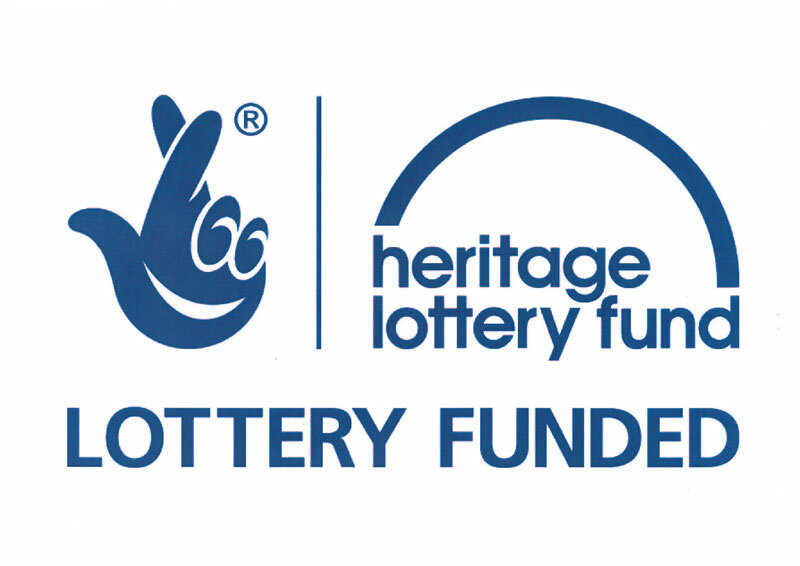 HLF pledged to match every pound donated to our endowment Future Fund, to reach a total of £1 million. The offer was only open until the end of June, but well over a month ahead of the deadline, we received the final and much-anticipated donation that takes the amount raised to the £1million mark. There have been thousands of donations to the appeal since it began in 2014. Some people signed up to give a regular amount on a monthly basis, others chose more unusual ways; one group of friends handed over the remains of their beer kitty after a day out on the Railway, and another supporter raised money by making and selling a valuable model locomotive. 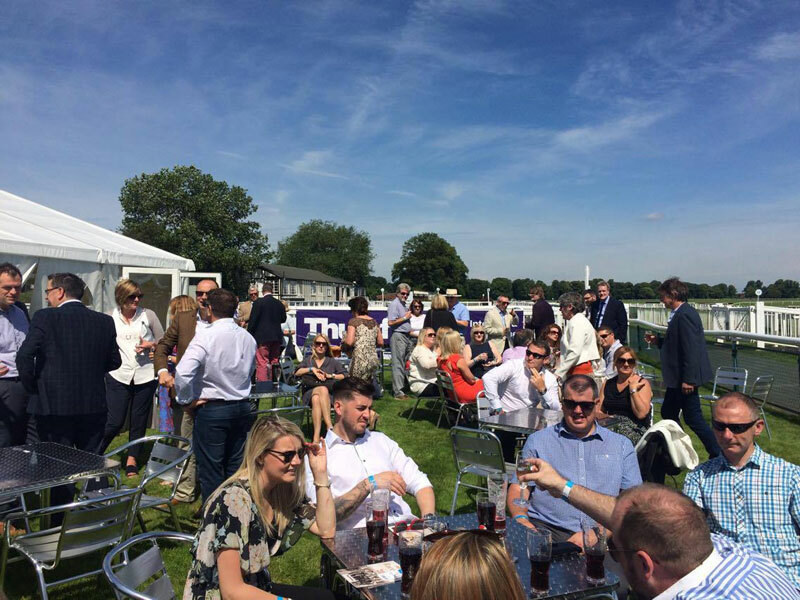 On 14th June more than 200 of Worcestershire’s finest gathered in the glorious summer sunshine for the Severn Valley Railway Charitable Trust’s annual Worcester Race Day. Many of the Trust’s corporate partners were represented, including Thursfields Solicitors who were the main event sponsors, and Allelys Heavy Haulage who sponsored the champagne drinks reception. 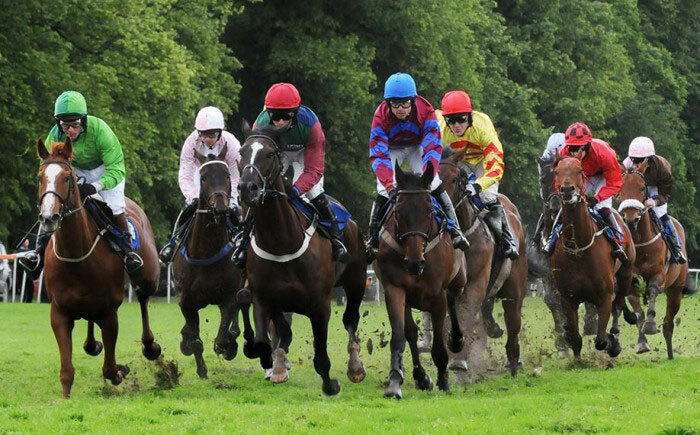 As well as the thrill of the racing, guests were also able to bid on a range of auction promises, kindly given by the Railway’s supporters, including a luxury London break donated by Great Little Breaks. We raised an impressive total of £23,000 from the day, which will sponsor an apprentice in the Railway’s Heritage Skills Training Academy. As Chair of the Trust’s Worcestershire Fundraising Committee, Handelsbanken Stourbridge Branch Manager, Richard Mander kindly organised the day. To see all the day’s photos please look on our Facebook page. 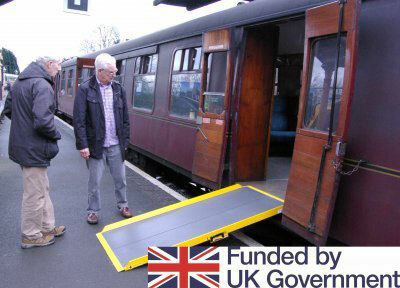 We’ve been trying out new, lightweight wheelchair ramps, and have ordered a full set so that each of our wheelchair-accessible coaches will carry its own. This means wheelchair users can get on and off trains at every stop along the line, including Country Park Halt and Northwood Halt. It’s a small part of a much larger SVR Charitable Trust project to improve wheelchair facilities on our trains, part-funded by a £75,000 grant from the Department for Transport. We’re converting two coaches for wheelchair users, one of which will become a dining coach with an innovative zig-zag layout for maximum flexibility. Watch this space for more updates on this exciting project.